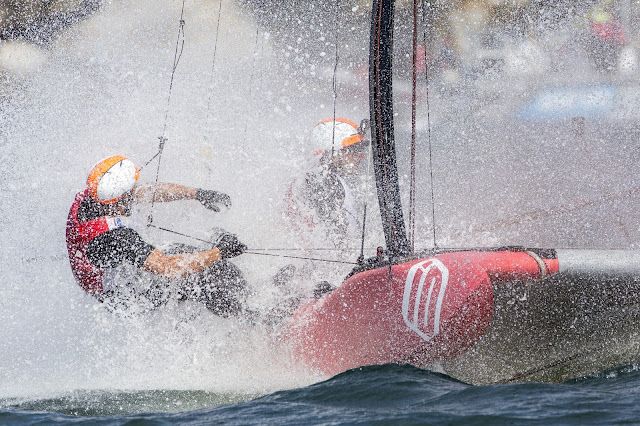 Images by Andrea Francolini & report sent by Nick Vindin / superfoiler.com. Sunday Live Stream next. (Sydney) World Match Racing Champion Phil Robertson has launched his run for the Ben Lexcen Trophy in perfect style – clinching two wins on the Saturday session of the Expr3ss! 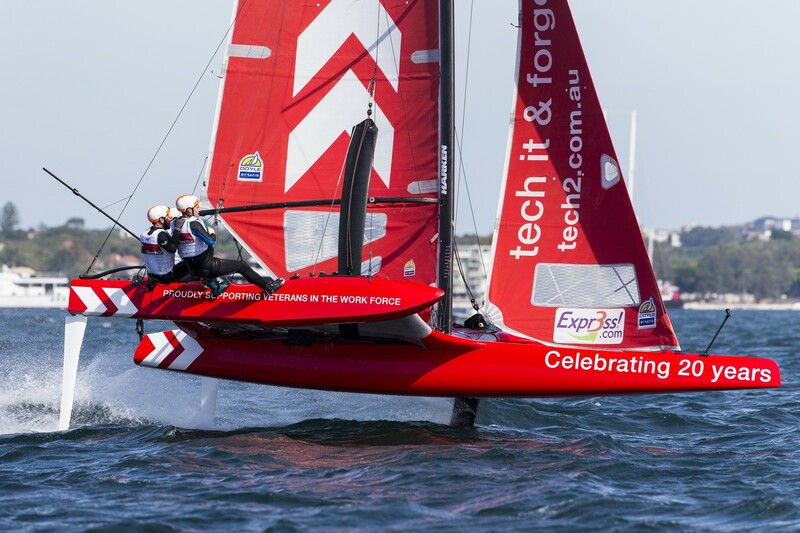 SuperFoiler Grand Prix on Sydney Harbour. “We were stomping that one. We had some nice modes downwind and we know how to send it upwind,” said Record Point’s skipper Phil Robertson. racing. 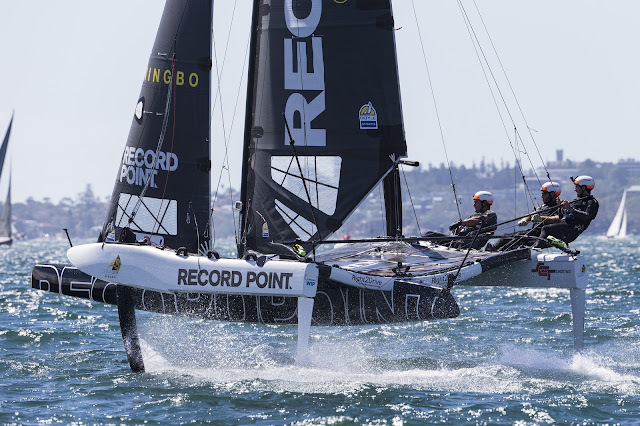 Record Point led the entire first race before stumbling with the finishing line in sight – a mistake that was fully exploited by tech2 who zoomed past to take the opening win. Record Point atoned for that disappointment in the next, breezing past Luke Parkinson to turn the previous result on its head – Phil Robertson adding Sydney to his list of SuperFoiler leg wins alongside Busselton. 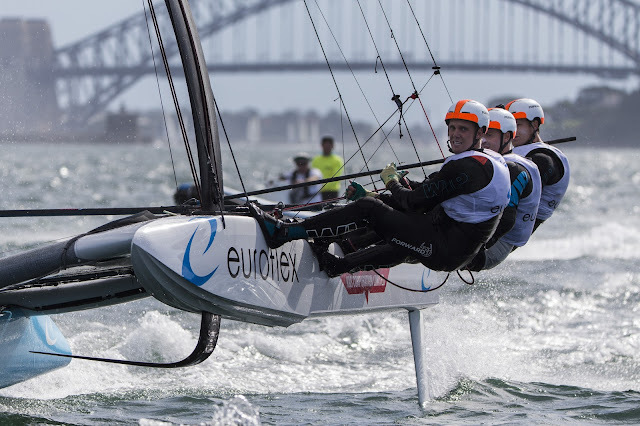 It was a difficult day for series leader Euroflex who surrendered crucial points to her nearest rivals, after regulars Nathan Outteridge and Glenn Ashby thrust together three third-placed finishes. In many ways it was a remarkable effort from the three-time regatta champion Euroflex, who also had to contend with a knee injury to their bowman Harry Mighell in the second race which saw his crew scrambling to find a replacement. The responsibility fell to 20-year old Connor Nicholas, who was only called into the Euroflex fold this week but fully embraced the challenge. “I think he almost wet his pants. He did a really good job considering the amount of training he had which was zero and he might be on with us tomorrow. 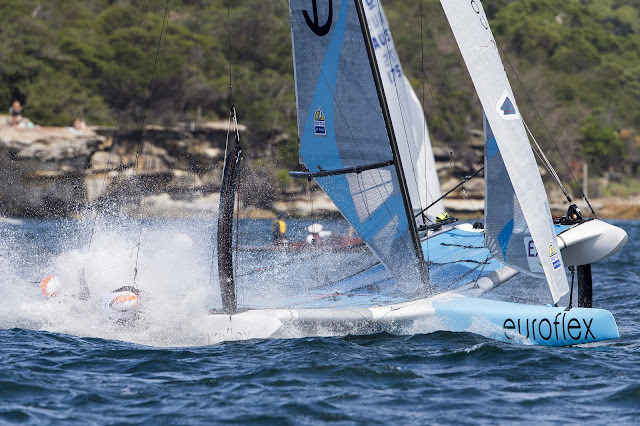 After Saturday’s racing just five points split tech2, Euroflex and Record Point in the battle for regatta supremacy in Sydney with Pavement, Kleenmaid, iD Intranet also still in calculation for the overall win. 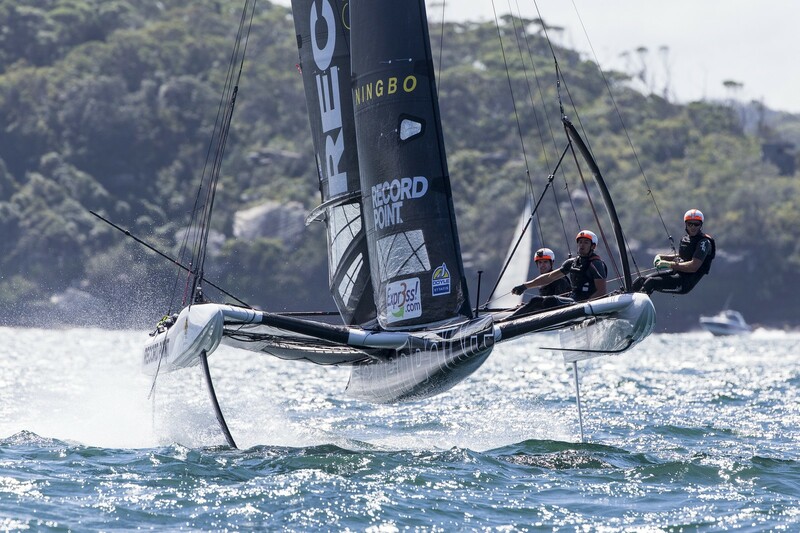 of March 2018 at 2pm AEDT.